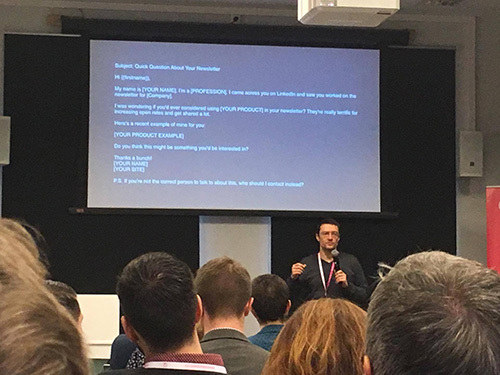 Last Friday Magello had another opportunity to participate in a SaaS Meetup in Google Campus. The event is being organized with the intent of creating an inspiring environment for young entrepreneurs who'd love to start or continue their business journey and change the world for the better. Just like the first time, the second edition has captured the attention of quite a few founders and co-founders who shared their experience, knowledge and inspirations. One of the parts of the event were group discussions with the hosts, who previously had come up with interesting subjects. All the participants were free to join each group and could change them at any time. Additionally, during the breaks we had a chance to get to know other companies who attended this Meetup. This allowed us not only to network with others but also to meet really interesting and inspired people. 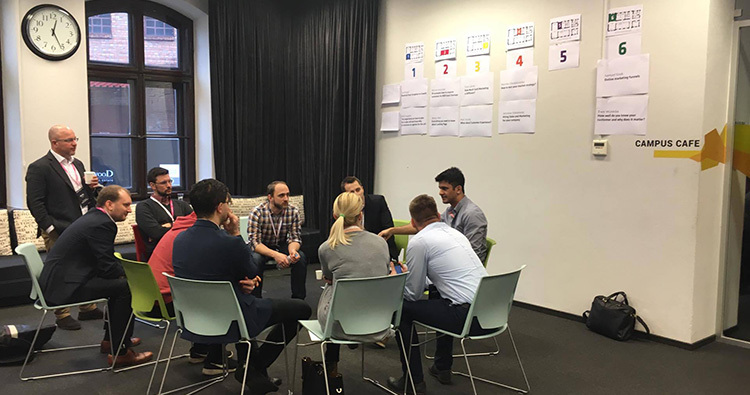 In the second part of the day, each attendee could also sign up for mentoring sessions with experienced entrepreneurs to talk about business challenges. Among the professionals were Marek Kapturkiewicz, Sam Cook, Piotr Wilam, Syed Asad, and Piotr Przewrocki. It gave all of us a chance to grasp some very important knowledge taken directly from years of experience of these entrepreneurs. So now it's time to write a short summary of Meetup presentations to give a nice takeaway to all those folks who couldn't participate in this event. Here we go. You will have more replies if you focus on your reader rather than write about yourself. Actually, most of us think about ourselves and when someone writes to us for the first time, it's really hard to think only about this person. First, we don't have much time. Second, we have a really short attention span and if something doesn't grab our attention at the beginning, we simply do not care about what comes next. The title of the email should be a promise of what's inside. Forget about writing catchy titles if they do not relate to the content of your email. No one likes to be sold, and nobody likes to be cheated. So, when they open your email, they may simply get irritated. And we definitely don't want this to happen. The more personal you are, the better chances for great results. In other words, the more human we are, the more accessible our recipients become. Gone are the days when each email required a very specific, formal approach. Nowadays, we better understand that business is about relations and needs. Keep bringing value to them. This one seems to be obvious since nobody cares about things that bring no value to our lives. Here, we can think again about attention span. Later came the time for the next presentation. 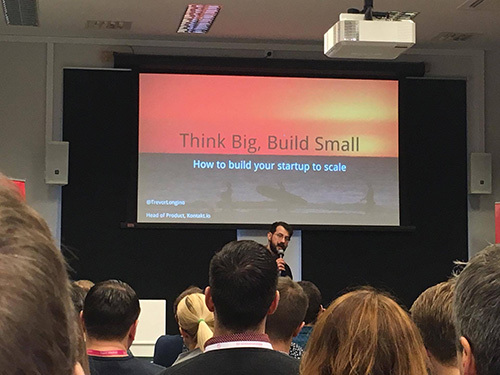 This time Trevor Longino from Kontakt.Io gave a terrific speech about verifying and developing business ideas. Here are a few valuable things we got from Trevor. If you want big money, you're in a wrong place. Startups create a specific environment where only people wanting to change the world can achieve success through hard work and well-structured processes. The most expensive thing you can do is launch something nobody wants. The world is full of original ideas that might change our life in a way. However, it doesn't mean we NEED them. Such uncontrolled creation gives birth to a huge number of products and services that go straight into the bin, just like money and time you've already sacrificed. You shouldn't be creating things you HAVE TO sell. Creating great products requires the right approach. First, you need to think of people, their needs, and expectations. If you focus only on the business side, there's a higher possibility you will end up with a product nobody wants. There are a couple of ways you can test your idea. There's a saying in sales that has stuck with all salespeople: "Always be closing". In startups you should use "Always be testing" approach. How should you start? For example, you can make use of a "First 10 test" rule that says you should talk about your idea to at least 10 people before taking the next step. Things those people say can even save you from disaster. Among other nice ways to test your intuition, you can also try using Facebook Ads or building a simple website with three pages: home page; more about your product; and comparison page. If you use charts, it can be a trap. Think about information that relates to the right metrics of your business. You should monitor not only the number of customers who join your app but also those who go away. In addition, you need to take care of essential factors that reveal the effectiveness such as cash flow, LTV, and churn. And if you don't want to fall into the trap, you should ask a lot of questions relating to your business. In short, that's it. To sum up, a huge amount of knowledge that we gained at this event is priceless. We're looking forward to attend the next Meetup, have fun, and learn as much as we can to develop better IT solutions for the world.